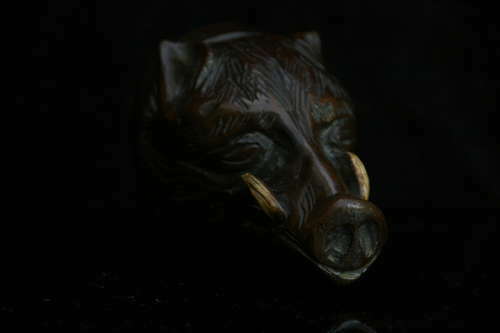 Rare Drinking vessel, a wild boar form stirrup cup, english early 19th century possibly mahogany, maybe fruitwood. minor losses to tusk ends. Pinto describes them as exceptionally rare and 18th century!!! page 41 illustrated plate 39.